So what is an e-Cookbook? It’s a budget-friendly, eco-conscious, downloadable cookbook delivered right to your inbox. No waiting for it to arrive in the mail and no need to make a trip to the bookstore. 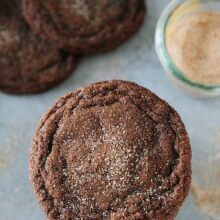 Cookie Cravings includes all of my favorite cookie recipes-I know I say all of my cookie recipes are my favorite, but these really are my favorite:) There are 15 favorites from the blog and 15 new recipes that haven’t been published anywhere else. Plus, Cookie Cravings includes all new cookie photos for each recipe, photographed and designed by the talented Heidi from Foodie Crush. 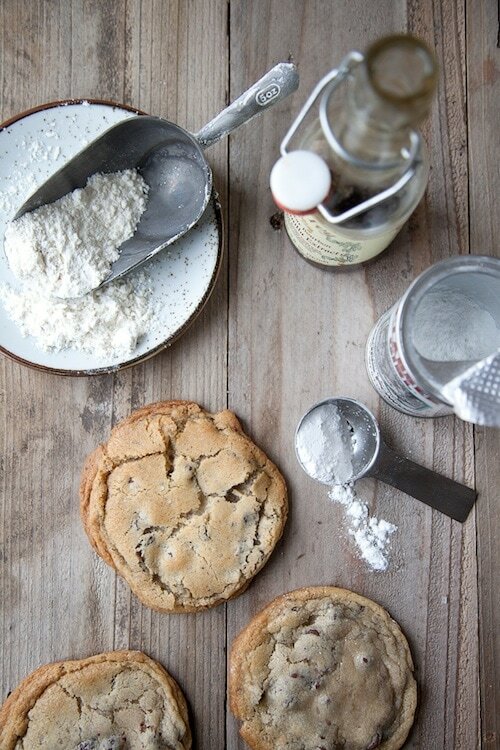 The photos will definitely make you crave cookies. They are stunning! The photos I am sharing today are a little preview from the book:) The book also includes cookie baking tips, behind the scenes photos, printable cookie gift tags, and a few more special goodies. Cookie Cravings will go on sale this March. To stay up to date on all of the cookbook details, simply sign up for our cookbook e-mail list so you don’t miss out on all of the details and a few extras we have planned for you. As a thank you for signing up we want to give you a brand new recipe I created for the cookbook. It’s waiting for you to download, for free, along with a printable recipe card. To get the free recipe, sign up and you’ll receive a link to the recipe card within 24 hours, plus more info in the upcoming weeks about a special discount available just to those that sign up! It’s that easy! We’re so honored to be one of your destinations on the web and appreciate your continued support. 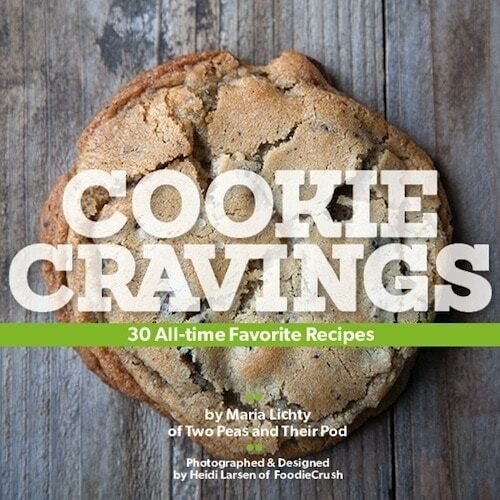 Thanks so much for being “part of our pod.” We cant wait to share our e-Cookbook, Cookie Cravings, with you! Maria, thanks for including me in this totally fun project and your first cookbook! You guys are the best and you ARE the Cookie Queen. Yep, I know first hand and my sweet tooth can prove it. Although unlike you, I LOVE the raw cookie dough! I’m thrilled to be a part of Cookie Cravings and am so excited to share all of your amazing new recipes. I’m still craving cookies, especially after sampling the goods. XO to you, Josh and Caleb, you guys have made it an amazing ride. There ARE benefits to being a night owl! I’m signed up! Can’t wait to get my e-cookbook in March! Congratulations all! What an exciting time and I’m so thrilled for you all – can’t wait to download my copy of the book!! ahhhhhhhhhhhhhhhhhh! So excited for you two 🙂 And the pictures in this post are totally gorgeous. What a fabulous family you have!! This is so awesome and I am so happy for you, Maria! I love that it’s about cookies and nothing else…and has your best of the best’s included. The pic of you and Caleb is stunning. You are just gorgeous! You and Heidi teaming up on it, and of course with Josh and Caleb at your side, how wonderful. Off to sign up for your e-letter. 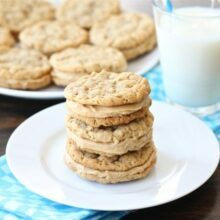 All signed up – can’t wait for the book – I too love cookies and my favored cookie recipes have increased dramatically since finding your blog. Love the photos of you Josh and Caleb. It’s almost like being a surrogate grandma. Bless you all! AMAZING! You have always been my go-to for cookie recipes. Love this!! How exciting! You are the cookie queen and I can’t wait to check out all the fabulous recipes! This is so exciting. Congratulations to you guy! I am so excited to read it. It’s such a unique idea and I love it! Wow it looks fabulous! How exciting and well done you getting this project done with such a little one to deal with as well. I love this!! congratulations!!! This is so exciting 🙂 I can’t wait to download my own copy!! You are definitely cookie queen!! Congratulations, that’s fabulous!!!! Can’t wait to see…..
Congratulations, Maria! This is fantastic news for a Monday morning! Congratulations, Maria! That is great. I know that your e-book will be a huge success because everyone loves and looks forward to each of your new cookie creations. and i LOVE the shots of you guys with sweet Caleb. he’s so adorable! How exciting, Maria! I always drool all over my keyboard when I see your cookies so I can’t wait for the ebook! Congrats! So exciting! I am so happy for you!! The pictures look amazing and I can’t wait to see the rest! Congrats! Congrats! Photos look fabulous and of course the recipes will be equally good too! Congratulations – this is so exciting! I love the idea of an e-book. Extremely handy to use on an ipad in the kitchen. 🙂 Can’t wait to see the recipes! Congratulations! It sounds perfect. And those pictures = amazing. Congratulations to all of you! 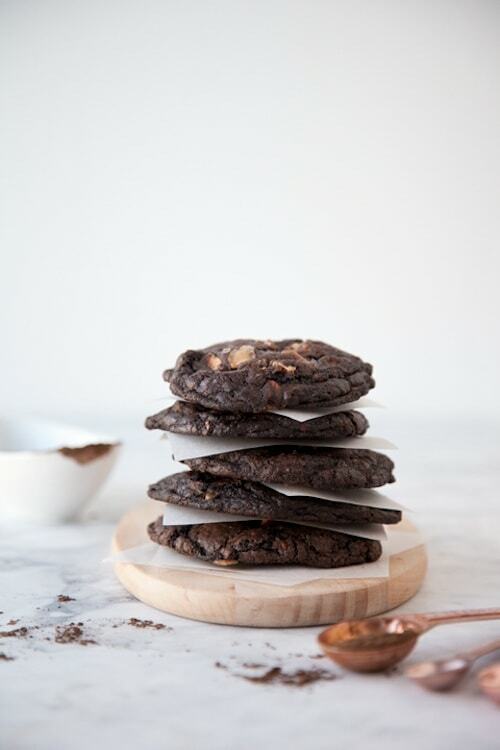 Heidi’s photos are amazing and your cookie recipes are bound to tempt anyone. I’ve signed up and I’m excited to see the finished product! How marvelous! Congrats! And what a great way to team up with Heidi! This is going to be fabulous! Congratulations Maria and Josh!! So exciting! Congratulations on the Cookie Cookbook!! Yay!! With Heidi on board and you baking cookies, this ebook is surely going to be a winner! Best of luck w/ it all!! Such a fun idea. Love the cute pictures of your little pea. I’m beyond excited to see all the fun recipes in your cookbook…you guys have the best cookies around!! Thank you so very much for including me! congrats! what a fun book to do! This is so fabulous, Maria! What a fun project to take on with Heidi. I can’t wait to see the final product! What an exciting venture! Congrats! I saw the button on your blog yesterday, so I was excited for the announcement! So fun that you are Heidi are teaming up – I know it’s going to be great!! Congratulations!!! This is going to my wish-list right away!!! CONGRATS! What a great idea! And the photos of you & your family just sealed the deal! Congratulations! Can’t wait to start baking some treats from this cookbook! How exciting, Maria!! Woo hoo! My word that is going to be one pretty book with your powers combined! Congrats!! Congratulations! I can’t wait to read it and try the recipes! Your little guy is adorable! I can’t WAIT for the e-cookbook! And thank you for including me—I’m honored! So excited for you guys Maria! The book looks fabulous!!! xoxox Love those family photos! Wow, congratulations! The book is beautiful and I bet it’s chock full of great recipes. What an exciting time for you and your family! Congratulations, that is wonderful! I’ll sign up!! congrats!! that is going to be one great coobook 😉 and love those photos of you 3! I am soooo excited for you guuuuyyysss!!! How fun! Can’t wait till it comes out! Congrats to you and Heidi, you’re such a great team! Woohoo!! This is so exciting my dear and cannot wait to see all your goodness in a book!! Oh this is going to be SO fun!!! this is GREAT news! So exciting and so delicious!!! Love the photos of the 3 of you…love you guys! congrats! Congratulations!!!! This is great news! I just signed up and will be waiting. One question though, when I went to get the free downloadable recipe card, when I hit “checkout” I got this message: Cart Error: Free Checkout will be available again on February 28, 2012 @ 00:00 MST…… Should I try it again tomorrow? Sorry Jodie! It is a new system to us and we are trying to figure it out:) We had to make a few changes. Everyone will receive their recipe card, but it might take up to 24 hours. Thanks for your patience! Congratulations Maria!! This is great news, I’ve just finished subscribing 🙂 I can’t wait to see the final book. I’m so happy for the two of you! Success, beautiful photography, and such a gorgeous baby boy. You are truly blessed my friend. Congratulations! Congratulations!!! From true a cookies lover, there’s NEVER enough cookie cookbooks ! Completely and utterly inspired. Cannot wait to buy it. I’ve been wondering when I’d see a cookie cookbook from you! AWESOME!! Congrats! This is super exciting and the pictures look so gorgeous!! Congratulations! Such exciting news!! The sneek peek photos are just incredible! I can’t wait to get my hands (so to speak!) on it! Congratulations! Congrats – pics of you and family are adorable too. I am so happy for you and can’t wait to buy it! Your cookies are honestly some of my favorite. They come out perfect every time! Wow! I love the photos already, the rustic background with the cookies is gorgeous. Congratulations! p.s. The baby is so sweet, the eyes are killer! so exciting, Maria! I cannot wait to see what you come up with! Awh yay!!! That’s so exciting for you guys. What an accomplishment! I’ve been wondering when you’d announce!!! Everything looks great so far! I’m excited for you all and… seriously… Caleb? 🙂 <3 he's so darling!!! Congrats you guys! What an accomplishment Maria! I can’t wait to check out all your unique recipe ideas. Looks beautiful and delicious! Beautiful photos of your family! I’m so excited for your cookie e-book, I’ve signed up for more info. Your coconut cookies are still the #1 cookie recipe in our house! Congratulations! Congratulations, Maria! That’s so exciting! I will definitely be getting one 🙂 SO thrilled for y’all! Congrats on the cookbook–I cant wait to read it! Congrats you guys! Your little family of peas is growing more precious by the day. Yay for you and yay for me (I’m all new cookie recipes)! Congrats Maria and Heidi! I’m already experiencing major cookie cravings, and have signed up for your newsletter so that Ill be able to order my copy asap. Love the photo of you and your sweet pea, btw. Maria. Congratulations! Awesome baby by the way! Congratulations on your first ebook… many more to come I hope! I’ve signed up and am counting the days! Congrats!! Such a great accomplishment!!!!! Congrats!!!! I am so excited for you! 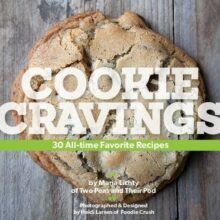 This book will be a must for me considering cookies are my boys favorite. Sooooooooo exciting you guys!!!!!!! And that little gumshoe is the cutest thing ever!!! How exciting! Congratulations. I’d totally buy it…your cookies are always great. Yippee! Congrats Maria and Josh! Well deserved and I cannot wait to get my copy 🙂 Your littlest man is SO cute!! Congratulation on your book … !!! Can’t wait to purchase your book !!!!!!!! 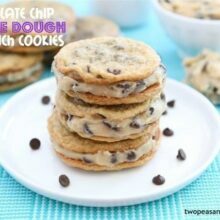 An e-cookbook with tons of cookie recipes? What can be better than that! This is a great idea… the pictures of your family are lovely! It is one of the mysteries of the modern world: how you stay so cute and tiny with a new baby AND cookie cookbook! You are my heor! It is one of the mysteries of the modern world: how you stay so cute and tiny with a new baby AND cookie cookbook! You are my hero! Caleb is darling! Congratulations on your cookbook! Maria, What a fun and satisfying project! I can’t wait to see it. Congratulations! I love your blog and cannot wait to see an e-book full of delicious creations! And your family is beautiful! What a wonderful first cookbook! I can’t wait to see those 15 NEW favorite recipes, your cookie creativity is endless! Congratulations to you all, and what gorgeous pictures of your family! WOOHOO! I’m SO excited for you, Maria! This is such an exciting cookie project + Heidi is such an amazing talent to work with. Darling photos! What a magnificent idea! I love the pictures and can’t wait to see these cookie recipes! I am SO excited for you guys! I can’t wait for the cookbook; thank you for inviting me to be a part of it! Oh my gosh how fantastic! Congrats! Oh, man… I can’t wait! 🙂 By the way, the lil baby pea is so adorable! Thank you for the free recipe and for all the neat recipes!! Congratulations! I am sure it will be lovely. Gotta love cookies. Your downloaded recipe card link doesn’t work for me. Yesterday it said it would be available to download today. Today is says it will be downloadable tomorrow. Thanks for letting us know. I will look into it and make sure you get your recipe card soon! Thanks for your patience! Yay! Congratulations – the photos (and cookies) look stunning! SO excited for your book! You make the best cookies and I can’t wait to has 30 of your favorites :). PS – The pictures of you and your little boy are Adorable! Congratulations on all of the beautifully photographed yumminess! Congrats, can’t wait!!! Love your recipes and I love the pics of your little one!!! Wow congratulations! this is so incredibly exciting! I can’t wait to buy your book!!! Congrats on the book!! 🙂 How exciting! Congratulations to you and Josh! What an accomplishment creating a cookbook of any kind, e- or print. 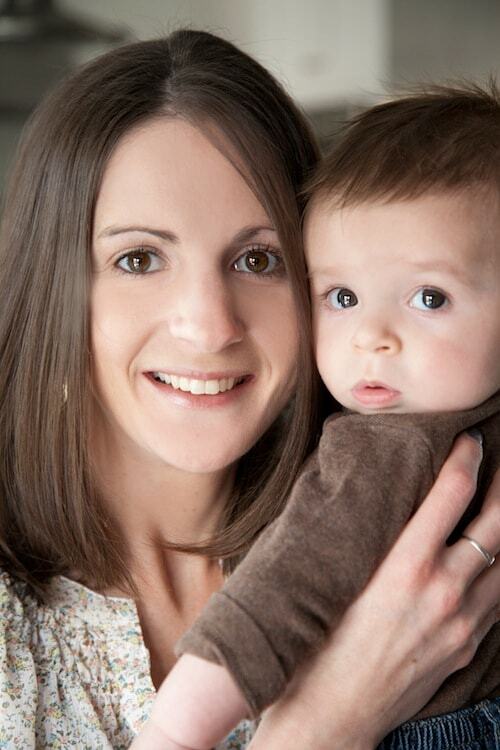 And, my gosh, what an absolutely gorgeous photo of you and the baby. You’re both just beautiful. That is very exciting! I love the photos…. and your son, ADORABLE!! Congratulations. You guys are so amazing. Congratulations! And your pea is adorable. So excited for you guys Maria! Bravo! CONGRATS! i bet its gonna be gorgeous! That’s so exciting! The pictures are so gorgeous, and I can’t wait to see it! Congratulations, Maria! I’m thrilled about the new book, can’t wait to read it! 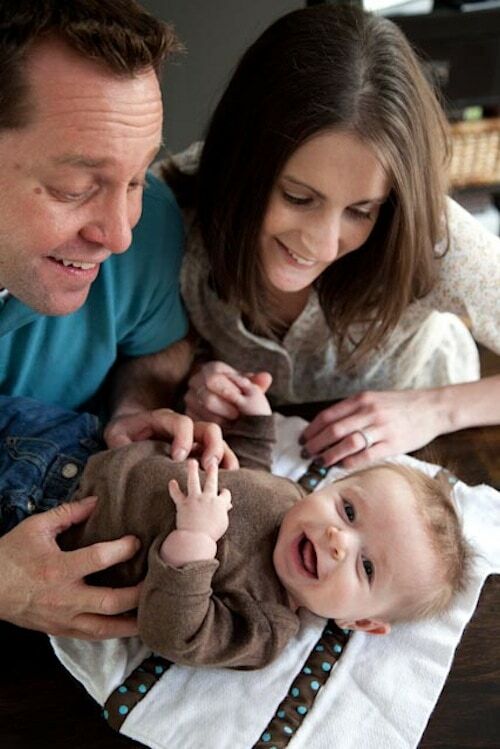 Love the photos of baby Caleb! Congrats! I am so excited for you guys!!! I can’t wait to get my copy of the cookbook. I’m all signed up for the emails!!! YAY! YEAH! I am so excited for you both! Your baby is totally adorable, too! P.S. I love the photos of all of you in this post! SO sweet! Looking forward to it…The baby is beautiful..
Pingback: Sneak peek: Chocolate Toffee Almond Cookies | is this REALLY my life?